If your school wants to build its capacity for school safety and crisis response, consider becoming a PREPaRE Trainer. Trainers can offer workshops to train school staff and crisis team members to prepare for, respond to, and recover from a variety of crises in the school setting. Learn how to provide training to help your staff establish and sustain comprehensive school safety and crisis prevention and preparedness efforts. Participants will learn how to present updated research and strategies to make a clear connection between ongoing school safety and crisis preparedness. The 5 hour session will emphasize how to train personnel in the unique needs and functions of school teams and the steps involved in developing these teams, including a model that integrates school personnel and community provider roles, and how to prepare for school crises by developing, exercising, and evaluating safety and crisis plans. Learn how to train school-employed mental health professionals and other school crisis intervention team members with the knowledge necessary to meet the mental health needs of students and staff following a school crisis. 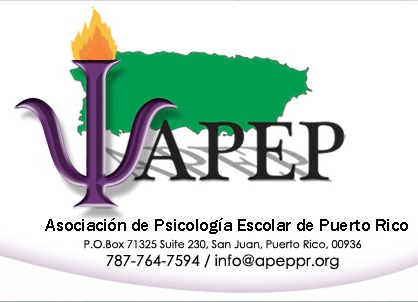 Participants in the 11 hour session will be equipped with the expertise to train staff in how to prevent and prepare for psychological trauma, reaffirm both the physical health of members of the school community and students' perception that they are safe and secure, evaluate the degree of psychological trauma, respond to the psychological needs of members of the school community, and examine the effectiveness of school crisis intervention and recover efforts. Additional information will be provided after registration. El registro para Training of Trainers (ToT) se hará a través de correo electrónico ya que está disponible únicamente para aquellas personas que participaron del adiestramiento de PREPaRE correspondiente el año pasado y hayan recibido la invitación por correo electrónico. Para poder participar de ToT1, la persona tiene que haber participado y recibido el certificado de PREPaRE Workshop 1 el año pasado y para ToT2, el certificado de PREPaRE Workshop 2. Si desea participar de los adiestramientos, favor de responder al correo electrónico expresando su interés e indicando si desea participar de ToT1, ToT2 o de ambos. Una vez recibamos su mensaje, le enviaremos la factura correspondiente para que pueda realizar el pago y completar su registro. Cualquier pregunta, no dude en comunicarse con nosotros.